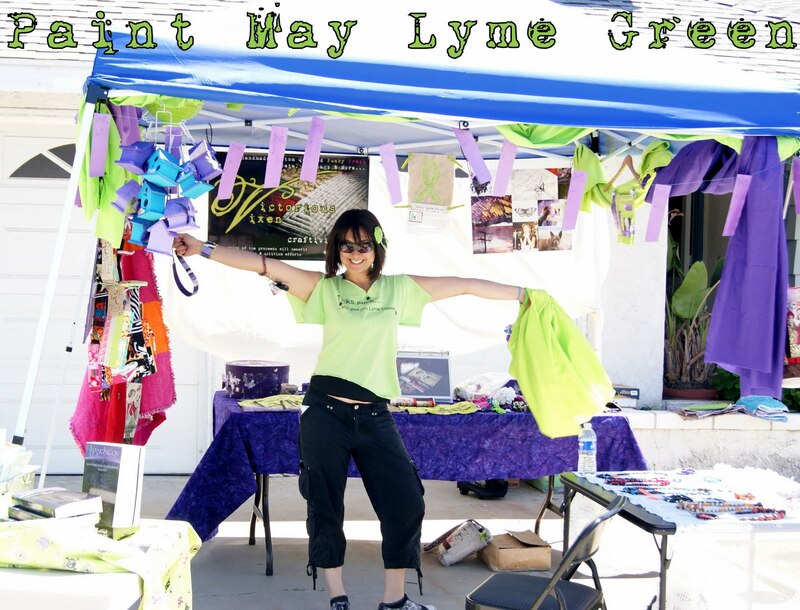 Fiber Artist, Craftivist, Maker of Handmade & Funky Fresh Custom Quilted Wallets, Handbags & More, Lyme Advocate, Mama of 2 Cuties, Lover of Fitness & Passionate about Life! 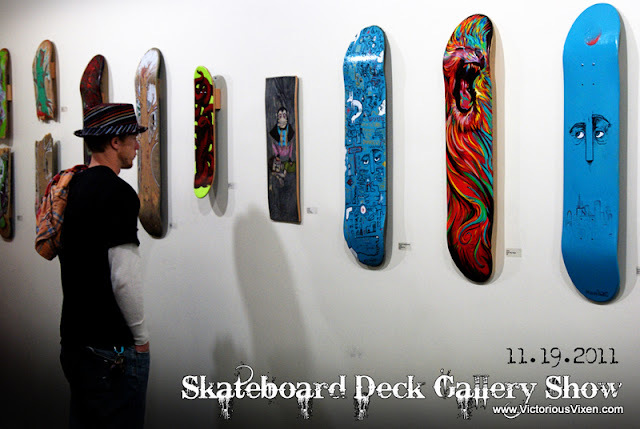 This past weekend I went to the Skateboard Deck Gallery Show at Catalyt in Westminster, CA...it was so awesome! A total FEAST for photographers and I had more than my share that night. =) I took this as an opportunity to practice adjusting the settings on my camera and trying out some creative shots to help prepare me for an upcoming wedding shoot. I am loving photography & hoping to use more of my pics in my quilting and mixed media work...after this show, my mind was exploding with ideas and new inspiration!! 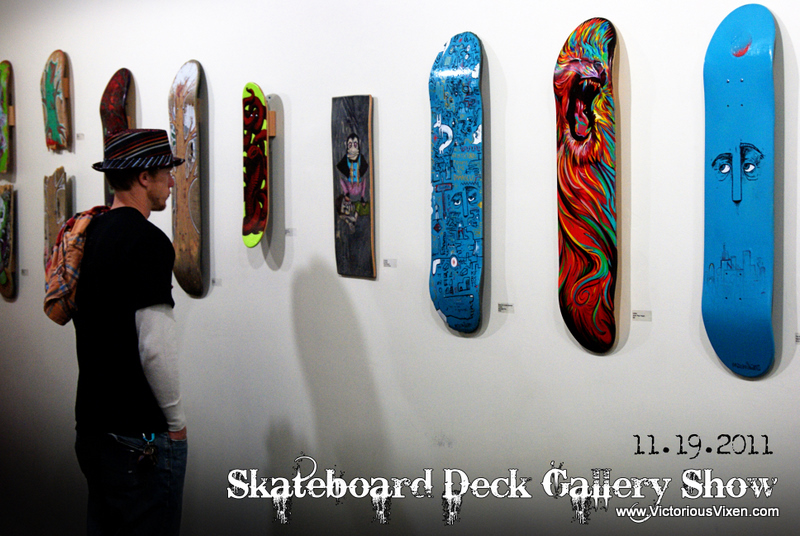 All the artwork was done with skateboards and most were displayed on the wall. I was invited by Brandon, a youth pastor at West Cypress Church who submitted 2 large pieces of artwork for display. Here he is below, checking out some of the other pieces on display. 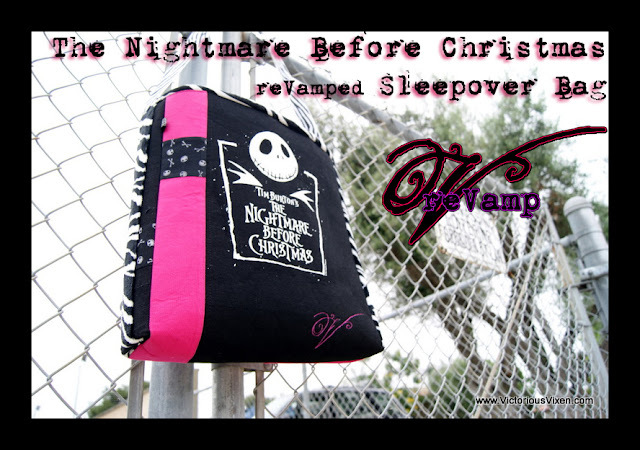 Finished this bag recently...it's a custom "The Nightmare Before Christmas" reVamped sleepover bag made with hot pink duck canvas, black and white zebra print & snippits of a special Jack Skelington knit. We just love this movie, so getting to sew with it was a lot of fun for me! I usually work without a pattern, just a very free & spontaneous flow of cutting & piecing fabric. B&W striped piping with zebra webbing handles...oh yeah! I ended up using the zebra lining as piping instead of this striped one...either one would work just fine. I added a textured zebra lining to this bag by free motion quilting all the black stripes on the zebra print...it's a LOT of sewing, but sooooo worth it! Every so often I have to stop and change out a broken needle...another one bites the dust! Here is the sturdy interfacing that I used for this bag...pellon 1-sided fusible 71F - retails for $7.99/yard. You adhere it to your fabric using an iron...easy, peasy! I sure will miss this bag...it was really hard to let it go! Here are the pictures from the Victorious For Elizabeth Open House Fundraiser that I did with my friend Shawnna this past May. Here I am, making a long balloon strand to be placed on top of my booth outside so people can find us! Yes, I'm kicking up my leg & being silly because...well, that's what I do best! 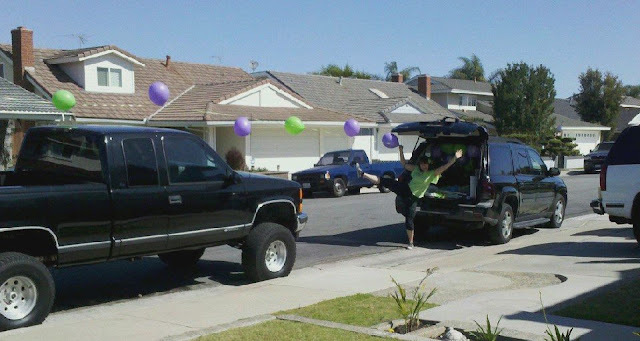 Here is Shawnna's son, helping me to contain the 60+ balloons that were stashed in my car. Good thing I had plenty...a number of them escaped our best efforts to control them! Isn't he the cutest helper! "Open House" signs and posters, in hopes of directing passing traffic to us....I wish I had taken some pictures of our signage...it looked really nice! 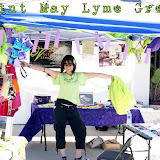 When I got back, it was "go" time...I set up my booth & was ready for the day's events! Here is the new peg board that my friend's mom gave me to display my goodies...thanks Vickie!!! I take it out every so often and add to it when I can. "Hanging On by the Scratch Marks My Nails Left Behind, Raw Faith"
as well as the scrappy wrist cuffs & funky headbands for sale. Shawnna's mom, Nancy, donated these amazing cupcakes to the fundraiser...yummmmm!!! Hair stylist Megan Hernandez from "The Style Lounge" in Fountain Valley donated her time & Featherlocks services to help Elizabeth. I had a purple & green one put in my hair in honor of Elizabeth & Lyme Awareness month...I LOVED it & it stayed in my hair for 2 months!! These beautiful (and edible) butterflies were donated by "Sweet DejaVu"
and lots of wine donated by One Hope Wine & Jackson Family Enterprises. Here is the poster sized print that I made for Elizabeth's fundraiser...I love how it turned out! make a donation to help Elizabeth, please visit her website: http://www.helpElizabeth.net. 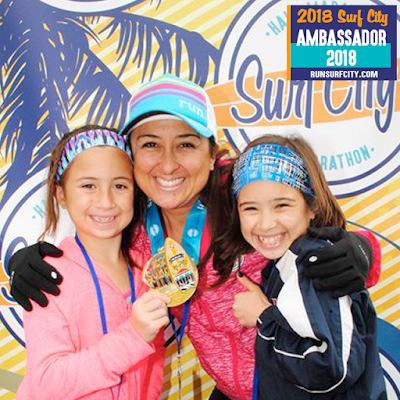 Click on the link below & it will take you to my Picasa Web Albums where you can view the complete collection of pictures from the event. "Let's Get It On"...& Revamp this shirt!